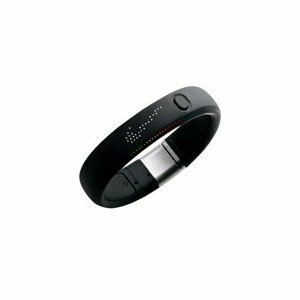 Nike + Fuelband tracks every step you take in your everyday activities and shows you how many calories you’ve burned. It is water resistant and can be worn out in the rain, but since it’s not waterproof it is not recommended to be worn while swimming. Fast 1 day shipping!